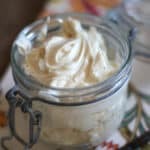 While I was making honey butter the other day to go with our cornbread; I remembered the abundance of vanilla beans in my pantry. (I found a great deal on them last year when I started making extract and I bought a bunch of them at that time.) 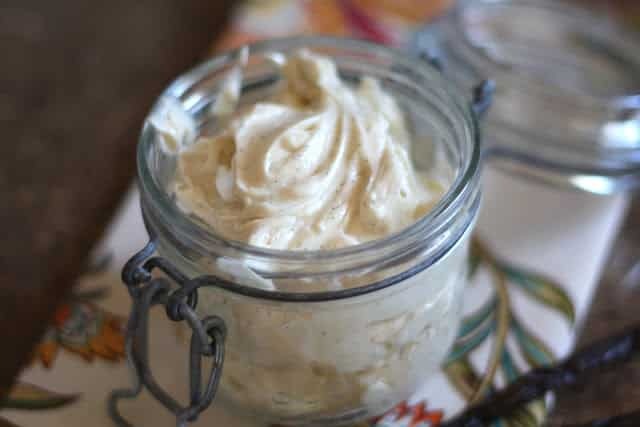 Whipped honey butter is made even more delicious with the addition of vanilla. 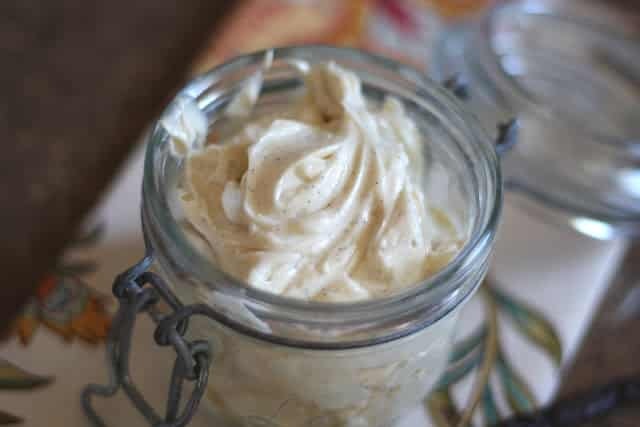 Use a vanilla bean if you have it, the flecks of vanilla bean in the honey butter are irresistible. In the bowl of a stand mixer, or a large mixing bowl, whip the butter for 2-3 minutes until it is light and fluffy. Add the honey and beat for another minute, until well combined. Add the vanilla and beat just to combine. Scoop into a jar and use immediately or chill until needed. Bring to room temperature when ready to serve. Enjoy! How much vanilla bean? It just says 1/2. 1/2 of what? 1/2 of 1 vanilla bean.